We believe that our clients’ satisfaction is the best gauge of our success. We also appreciate the recognition of independent reviewers, industry pundits and our peers. Below is a selection of the recent reviews and awards that GANADO Advocates has received. Chambers Global re-confirmed GANADO Advocates’ Band 1 rankings in Corporate/Commercial and Financial Services for 2018. 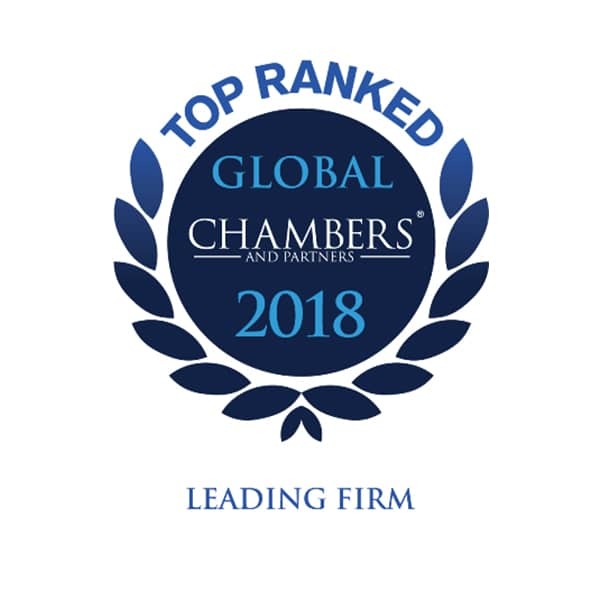 Chambers and Partners are the publishers of the world’s leading directories within the legal profession and are widely respected for the independence and objectivity of their research. The Chambers Global Guide covers 190 countries, offering insight into top firms and lawyers practising internationally. 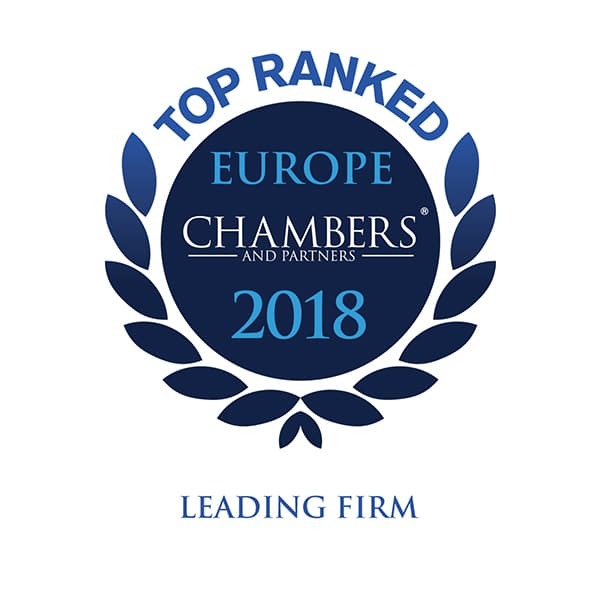 Chambers Europe re-confirmed GANADO Advocates’ Band 1 rankings for 2018 in Corporate/Commercial, Dispute Resolution, Financial Services and Shipping. The firm’s Competition/ European Law, Tax and Shipping: Yachting practice areas have also been ranked. The Chambers Europe Guide provides in-depth coverage of the continent’s legal market, examining firms’ abilities on a national and regional basis. 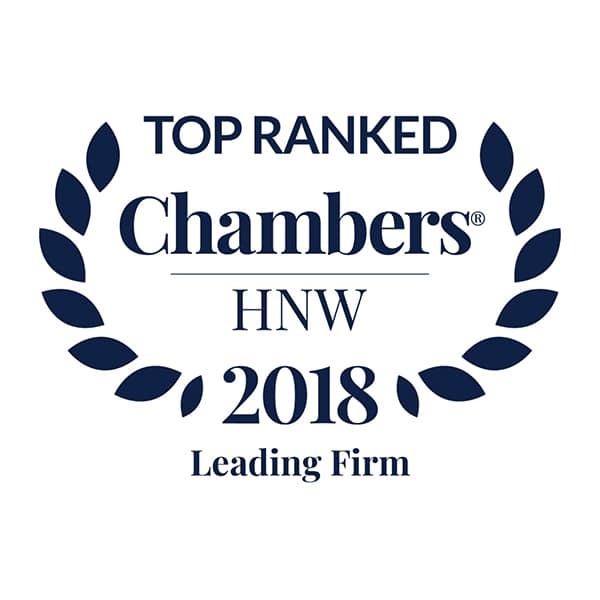 Chambers HNW re-confirmed GANADO Advocates’ Band 1 ranking for 2018 in Private Wealth Law. The Chambers HNW Guide is a publication aimed at the international private wealth market, featuring the leading professional advisers to High Net Worth Individuals in more than 50 countries around the world. The Legal 500 re-confirmed GANADO Advocates’ First Tier rankings for 2018 in Aviation, Banking, Finance & Capital Markets, Commercial, Corporate & M&A, Dispute Resolution, Intellectual Property, Investment Funds and Shipping. The firm’s Real Estate practice once again received praise. The Legal 500 provides a comprehensive worldwide coverage on legal service providers in over 150 jurisdictions. The Legal 500 Series is widely chosen for its definitive judgement of law firm capabilities. IFLR1000 has once again re-confirmed GANADO Advocates’ First Tier ranking for 2018 in Financial and Corporate. IFLR1000 is a leading independent reviewer of the world’s leading financial and corporate law firms. 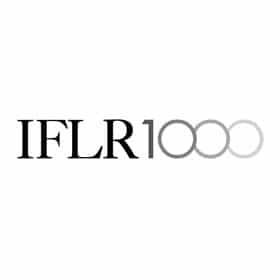 IFLR1000 publishes an annual guide for clients of law firms throughout the world with rankings and profiles of leading firms in each country. Captive Review’s annual European & UK Captive Awards for 2018 saw GANADO Advocates’ Insurance & Reinsurance practice once again being shortlisted as one of five firms nominated in the Law Firm category. 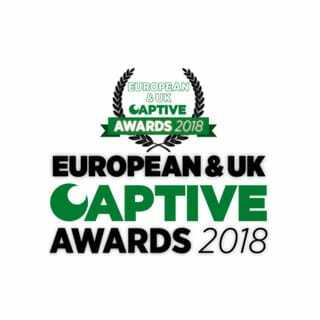 The European & UK Captive Review Awards are the only awards dedicated to captive insurance expertise on the continent, providing captive owners and service providers with a platform to showcase excellence and innovation.